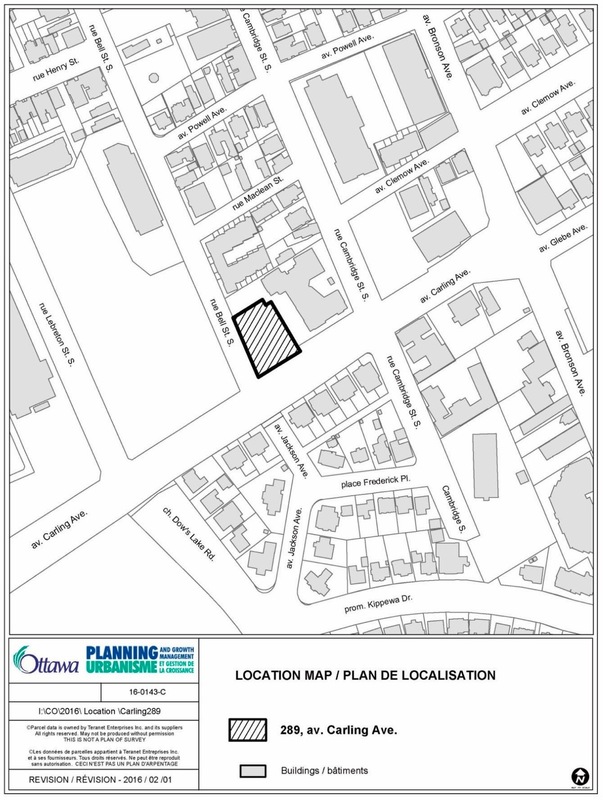 Many of you are aware of the proposed project at 289 Carling, a small piece of land on the corner of Bell St. South and Carling Avenue, which the city is attempting to obtain from the federal government to provide supportive housing in the form of approximately 55 bachelor units for the chronically homeless. We are encouraging those Glebe Annex residents with an interest in, or concern about this development to write both our 289 Carling as well as the city of Ottawa to share their thoughts. A number of us have already written, particularly with respect to the proposal of only building bachelor units. Some of the subjects that have been raised include concerns about the lack of public transportation, social services, amenities such as a pharmacy or grocery store, the possibility of increased loitering, drug trafficking or petty crime, safety/security for the neighbourhood, possible effect on property values, etc. If approved, the building won’t be built until 2018. However, without prior consultation, the city has already put forward a proposal to the federal government, and federal government approval and offer to sell the land to the City of Ottawa for $1 may occur as early as January 2017. While our councillor promises that we will have opportunities for input at a later date, the ability to shape this development after project approval is unknown. Therefore, we suggest that you communicate your thoughts/concerns to the city as early as possible. Ms. Melody Duffenais, the Planning Committee Coordinator: Melody.Duffenais@ottawa. If you are interested in getting involved and working with GACA on this issue, please reach out to our board member Sue Stefko, at info@glebeannex.ca. The land currently used as a parking lot for Natural Resources Canada, and is outlined in diagonal lines in the diagram below.